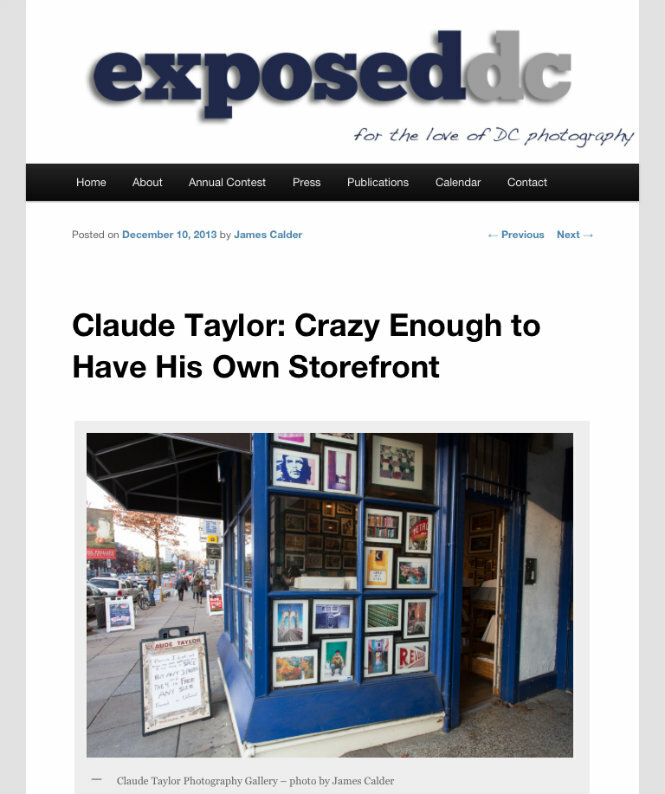 If you have even a remote interest in travel photography, you really should schedule a trip to Claude Taylor's gallery in Washington, DC's Dupont Circle. In the article, Claude shares how his gallery got started and how he happened upon photos from so many destinations around the globe. We even get a peak at his sense of humor. You can see his humor on display right outside the gallery. He usually has a sign that says "Help Claude restore his 1970 Mustang," urging you to buy a photo. Check out the story and, if you can, the gallery. That poor Mustang isn't gonna restore itself, you know.